1. Pick out a garment which you’d like to embroider the flowers onto. 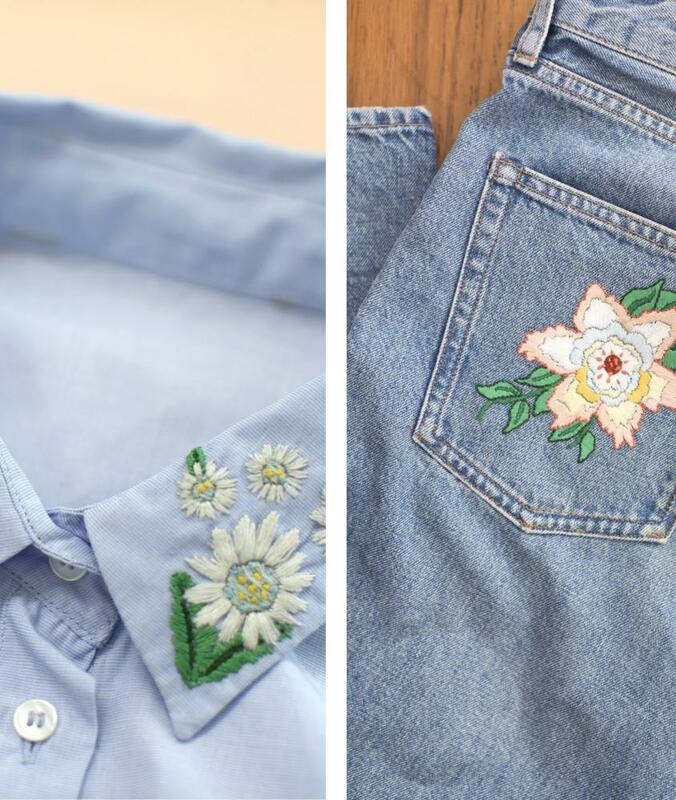 We opted to embroider a large flower on the back pocket of our favourite jeans and small flowers on the collar of a blouse. 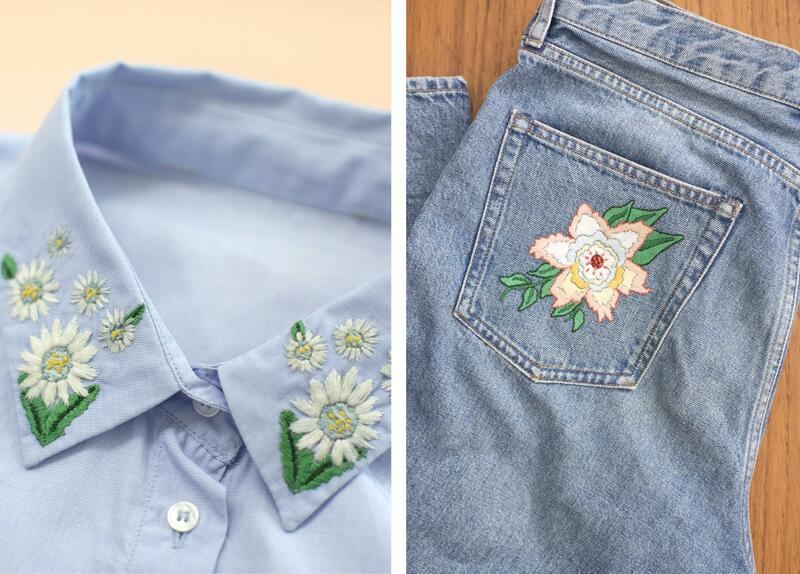 Remove the pocket from the jeans to make it easier to embroider. 2. Download the drawings of the flowers here and print them out at actual size. Then copy the drawings over to embroidery paper. 3. Attach the paper to the desired spot on the garment using pins. 4. Embroider the drawing: use a satin stitch for all the empty areas, use the straight stitch for the edges of the flowers and all the leaves (except for the white flowers) and use French knots for the heart in the centre. 5. Dissolve the paper using some hot water. 6. Sew the pocket back onto the jeans and press the garments.